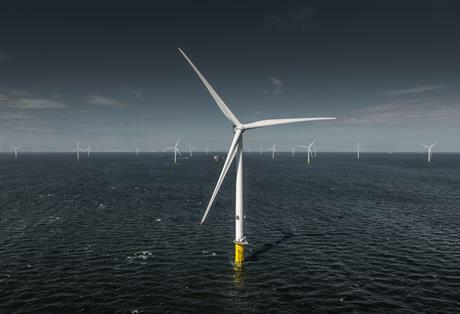 UK: Dong Energy's 258MW Burbo Bank Extension, the first offshore project to deploy the MHI Vestas V164-8.0MW turbine, was officially inaugurated on 17 May, at a ceremony in Liverpool. "Less than ten years ago at Burbo Bank, we were the first to install Siemens' 3.6MW wind turbines, and in this short time, the wind turbines have more than doubled in capacity," said Dong CEO Henrik Poulsen. "Pushing innovation in this way reduces the cost of electricity from offshore wind and will help to advance the offshore wind industry across the world," he said. Dong sold 50% of its stake in the project to Danish pension fund PKA and Kirkbi, parent of the Lego Group, for £660 million in February 2016. In April 2014 the project was awarded a contract for difference (CfD) from the UK government with a strike of £150/MWh (2012 prices) (€175/MWh) for 15 years. Burbo Bank Extension is Dong’s ninth operational project in UK waters, and the Danish developer is now involved as an operator or joint venture partner in around 2.5GW of offshore wind capacity in the country.